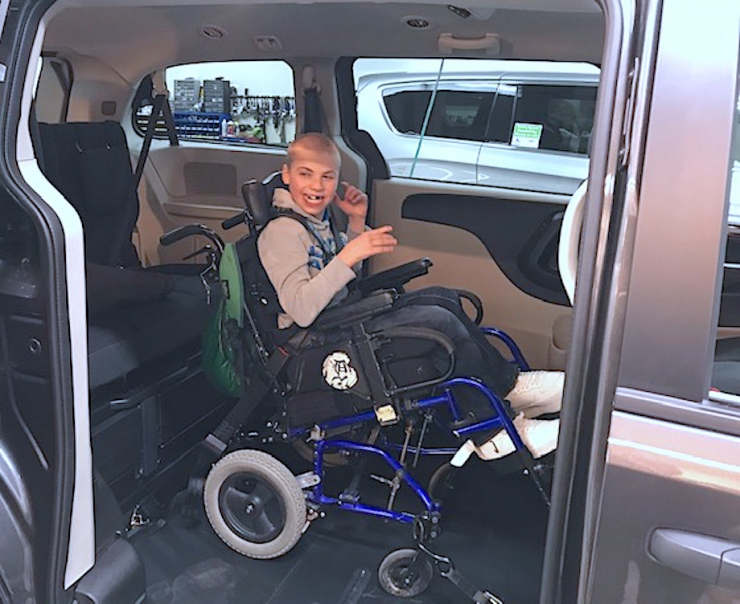 Last week we met Elizabeth, who had applied for a wheelchair-accessible van. 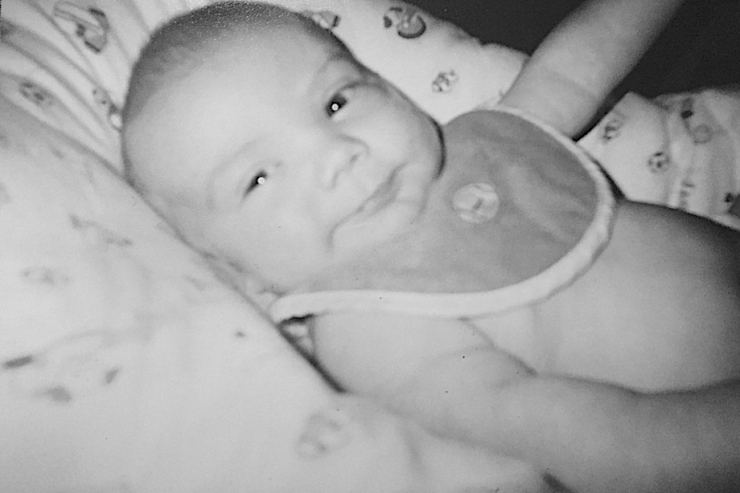 Her son Elijah was born with Gorlin-Goltz syndrome, which causes a rare skin cancer as well as abnormalities in the eyes, bones, nervous and endocrine systems. Doctors realized something was wrong right away, when they discovered six toes on both of Elijah’s tiny feet. 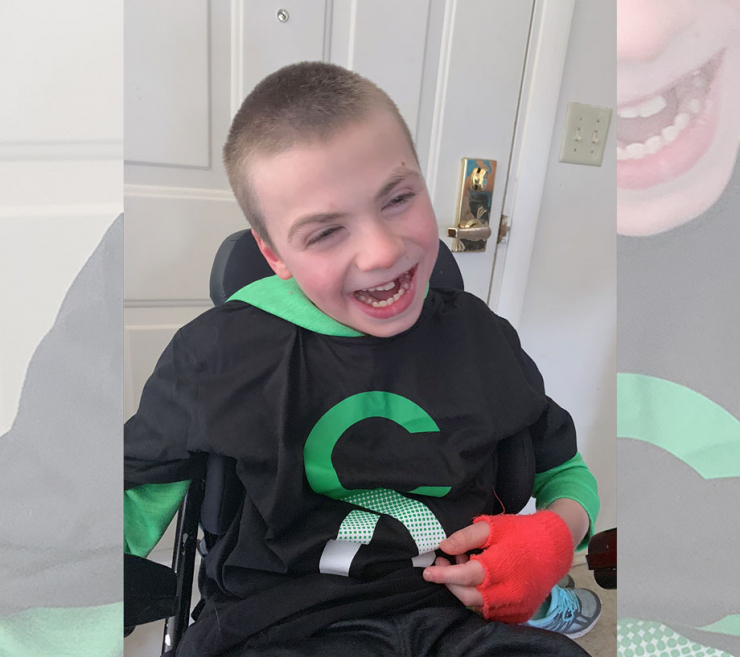 After months of doctor visits and extensive testing, Elijah’s family also learned he had focal epilepsy and spastic cerebral palsy, and suddenly, dreams of their little boy running and playing and dancing with his big sisters vanished. 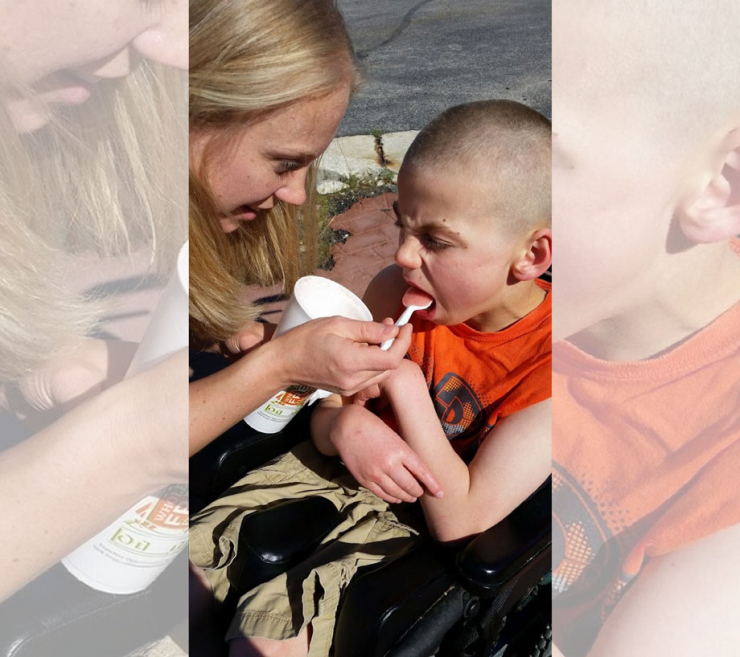 Instead, they were facing the reality of developmental delays, a lifetime battle with skin cancer, mobility issues, and complete uncertainty for Elijah’s future. 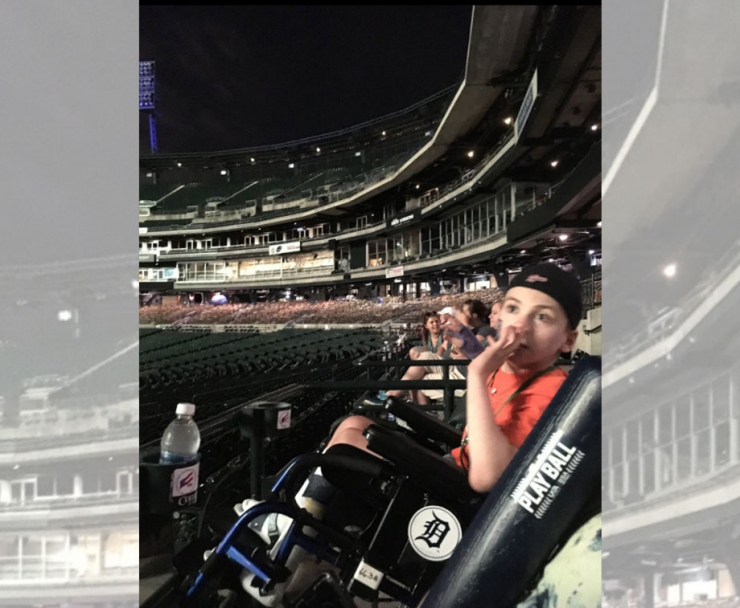 “It’s been 13 difficult years of trials and tribulations, but his love of life and drive to overcome his immobility is strong,” Elizabeth said. She told me Elijah can do small things like army crawl, sing and mumble words, dance in his wheelchair, and communicate through a specialized device. He loves the sweet treats his big sister Angela brings when she comes to visit, loves going swimming at the Y, going to the zoo, and just riding in the car with the windows down. His life is far from what his mom imagined when he was born, but it’s special and beautiful in all the best ways. Keeping Elijah’s skin cancer in check is a full time job. 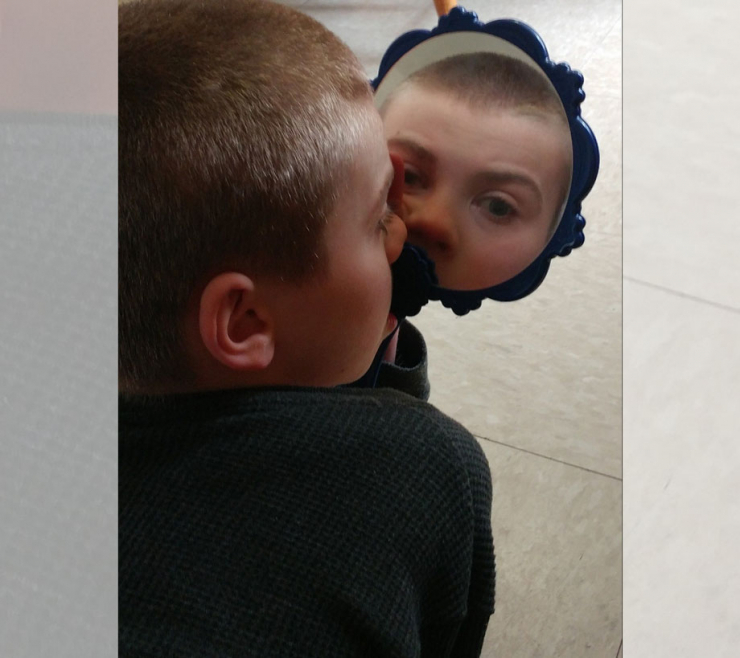 He can’t be outside in the sun very much, so his mom waits until later in the day to take him outside, unless it’s to go to the doctor, which he does a lot. He’s endured numerous surgeries and biopsies, had multiple teeth pulled due to cysts growing in his mouth, and has increasing scar tissue and hair loss thanks to all those procedures. Add to that the high level of basic care he needs every day, and it’s easy to see why Elizabeth needs help. Elizabeth laughed, because my impossible is her every day, and reassured me she’s hanging in there. Her daughter Angela is 21 and studying to become a nurse, and she helps out as much as she can. In fact, Elizabeth said, Angela comes to watch Elijah when she has to run errands or go somewhere with the other girls, because it’s really difficult and increasingly dangerous to haul him in and out of her old van. I thought about all the important things Elijah was missing out on because even the simple act of getting him in the car takes enormous mental and physical effort. He’s missing out on little things that make life wonderful, too, like swimming with his sisters and going for a drive on a pretty day. We say it all the time here at Chive Charities, but mobility really is the key to freedom. 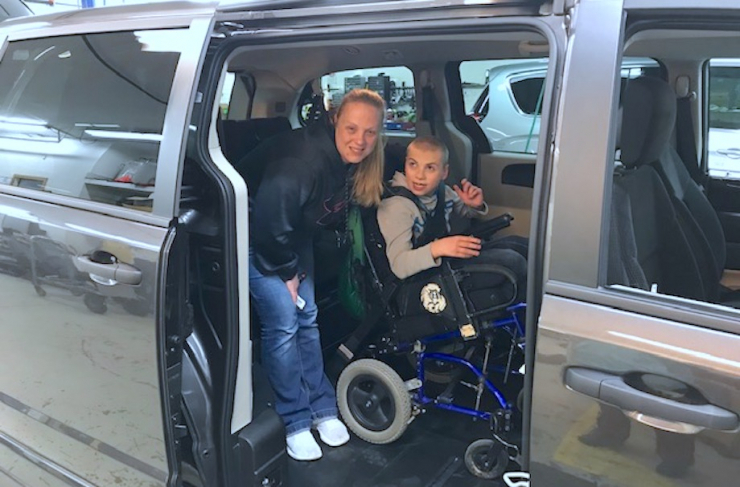 So, of course we were thrilled to grant Elizabeth a $50,000 BraunAbility wheelchair-accessible van. They picked it up this week, and immediately their world is brighter. “We can finally go places together as a family,” Elizabeth said happily. 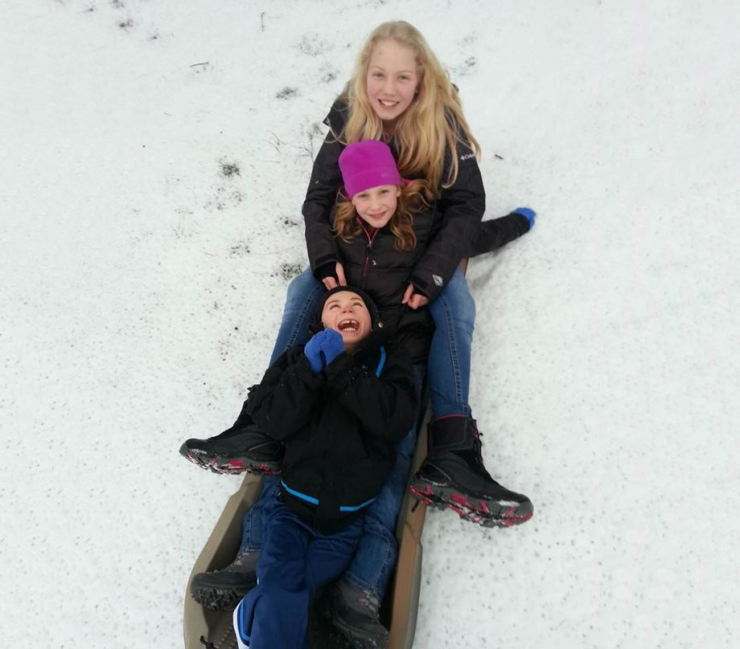 “We’ve been to the movies and the store – we make it a team event now. And we can’t wait to go swimming together this summer.” She told me a little more about how great the van was working out, then added, “It’s not dreadful going places anymore, we can just get up and go. I’m so excited to take Elijah everywhere, and give him the best life I can.” We can’t wait to follow along! Living life outside your own four walls is something most of us take for granted, but when that freedom is stripped away, the world becomes very small and isolating. 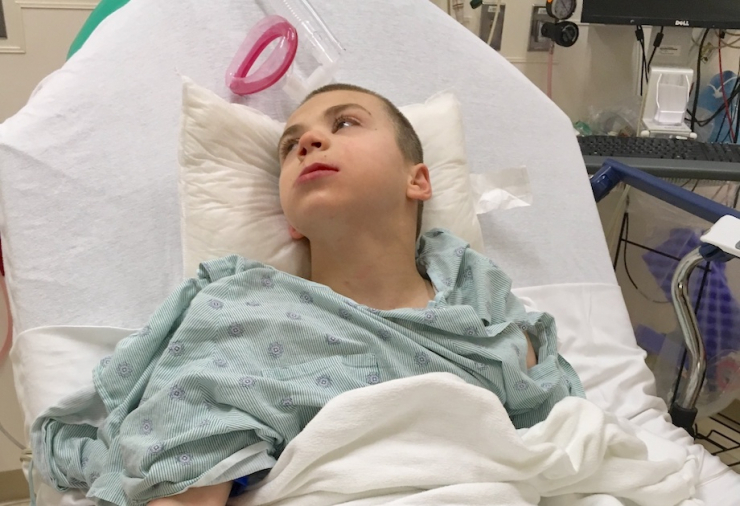 Restoring independence for kids like Elijah is one way we can all make a difference, and we’d love for you to be a part of our next life-changing grant. Become a Chive Charities monthly donor RIGHT HERE.